Amazing Iron Art specializes in traditional "wrought-iron" products and installation services for residential and commercial customers throughout Northern California and Greater Sacramento area. 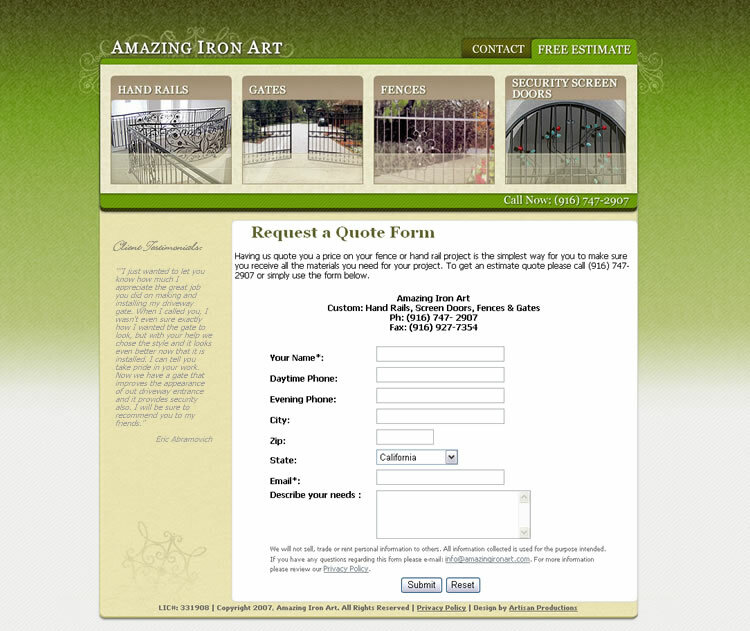 This wrought-iron company installs high quality custom driveway gates, entrance gates and fences in Northern California and greater Sacramento area. We also offer custom wrought iron handrails, railings, and staircase handrails. Adobe Photoshop & Illustrator, Macromedia Fireworks, PHP, CSS. 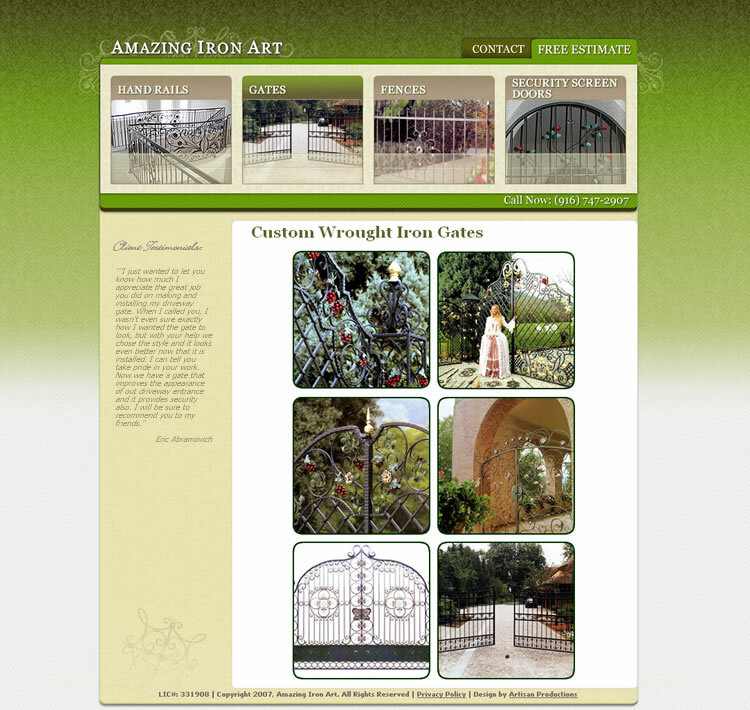 SOLUTION: Artisan Productions & Design created custom design for a local wrought iron business. 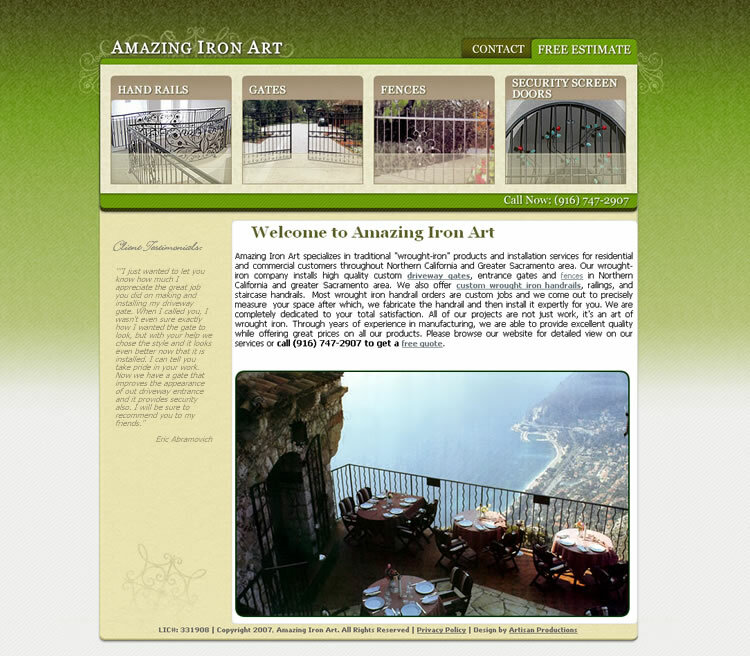 An exquisite combination of classic elegance and modern technology, venetian style and strong lines, all of it was incorporated into webpage layout to highlight the strange and beauty of wrought iron craft.
" The site looks awesome. I’m very impressed with the high quality of your work! I understand why you guys have a great reputation. "